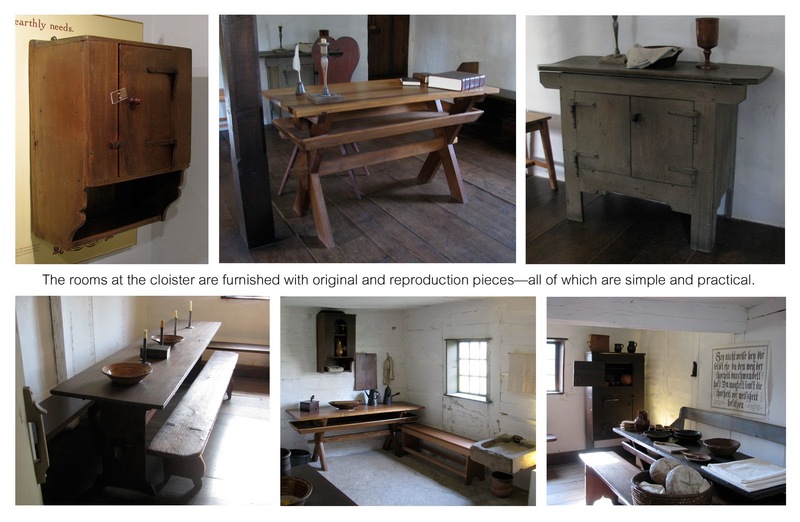 If you're considering giving up your secular life to become a brother or sister of the Ephrata Cloister, I have a few words of advice for you. The sisters' dorm is five stories. First, you might want to leave your aubergine zoot suit at home. And your steak knife. Leave that at home, too. Oh, and never, ever get in a pillow fight with your brethren. These things will help you get started as a follower of Conrad Beissel—a young baker who left the Palatinate region of what is now Germany to seek religious freedom in Penn's Colony in 1720. 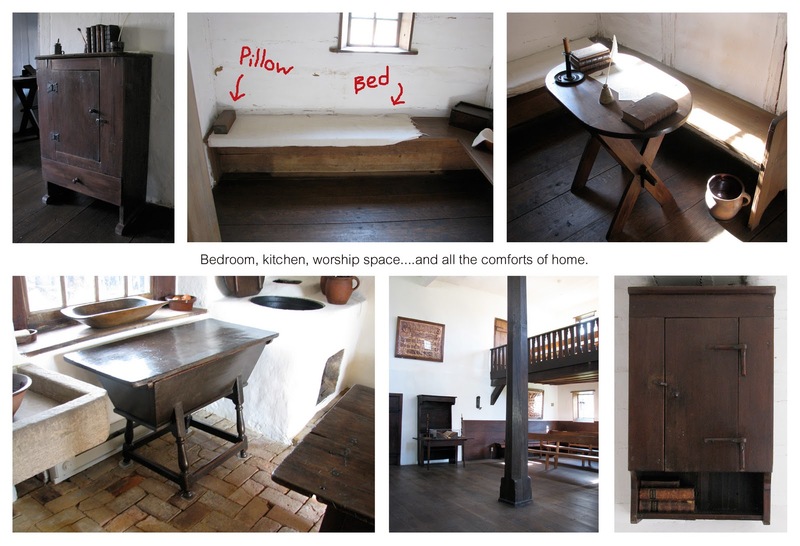 Along his spiritual journey in Pennsylvania, Beissel joined a group of Anabaptists. But in 1732, he decided to become a hermit and find his own path. He must have had quite a magnetic personality, because people followed after him and set up a camp nearby, and Beissel took on the role of spiritual leader. He believed that men and women were equal, but should be separate and celibate—so the women had their own dorm and worship space, as did the men—and that all should wear white robes. Still interested in joining the brotherhood? As a new member, here's what you can expect. You'll start your day at 5:00 a.m. and work until 9:00 a.m. At that time, you'll stop to pray for an hour. Notice anything missing? Yeah—breakfast. At 10:00 a.m., you'll go back to work until 1:00 p.m., at which time you'll stop to pray. No lunch. Sorry. Then you'll work from 2:00 p.m. to 6:00 p.m., and if you haven't fainted from malnourishment, you'll sit down to dinner. Hope you like vegetables. Up and at 'em! It's midnight, and we have to be ready for Christ's second coming. So you'll worship for two hours, and at 2:00 a.m.—provided the Lord hasn't returned and whisked you off to heaven—you'll crawl back onto your board for three more hours and start all over again. So why the harsh living arrangements? Here are Beissel's thoughts. God doesn't eat or sleep, so we should curtail our sleep and curb our appetites. Deep sleep invites dreams where evil thoughts can enter our minds. Regarding being celibate—each of you will "marry" God when you get to heaven, so why bother getting married here on earth? At its peak, the cloister had 40 buildings, 250 acres, and 300 members. The brothers worked a tannery and grain-, linseed-, paper-, saw-, and fulling mills. The sisters tended to the gardens, produced textiles, and drew ornate bible verses on large sheets of paper which were hung on the walls. The buildings were built in traditional German style with steep roofs, dormer windows (that were randomly placed), and low doorways and ceilings. 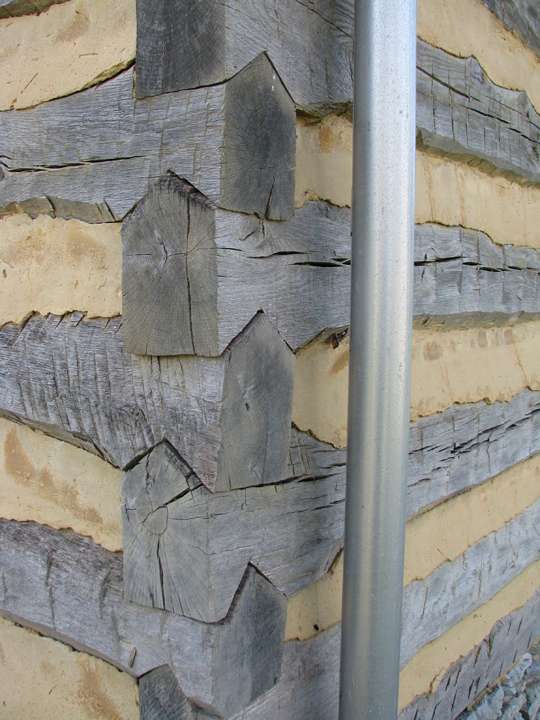 The shingles were tapered top to bottom and side to side. The brothers and sisters were a benevolent bunch—feeding and giving (warm and comfy) beds to travelers for free. 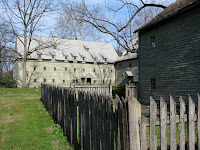 They also helped new settlers build homes and distributed goods to the poor. 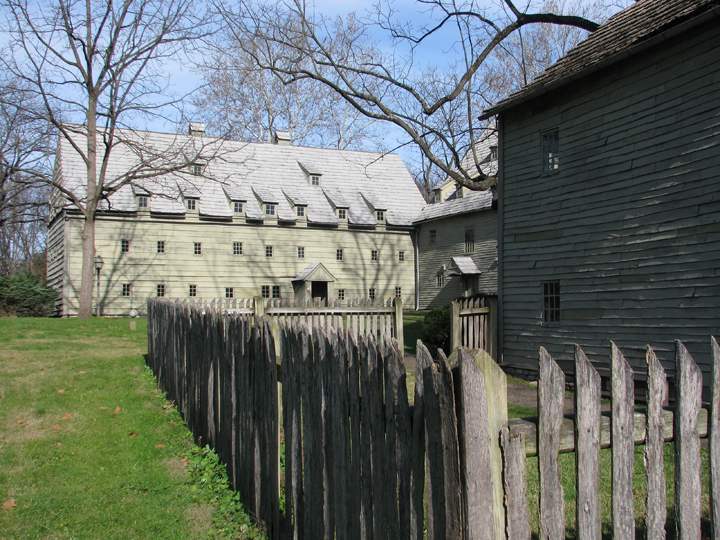 During the Revolutionary War, the sisters' dorm became a makeshift hospital where the brethren tended to 260 sick and wounded soldiers. In 1813, the last celibate member died, and householders (non-celibate members who lived in homes near the cloister) took over caring for the property. In 1941, the state of Pennsylvania purchased the cloister and restored the buildings that remained. 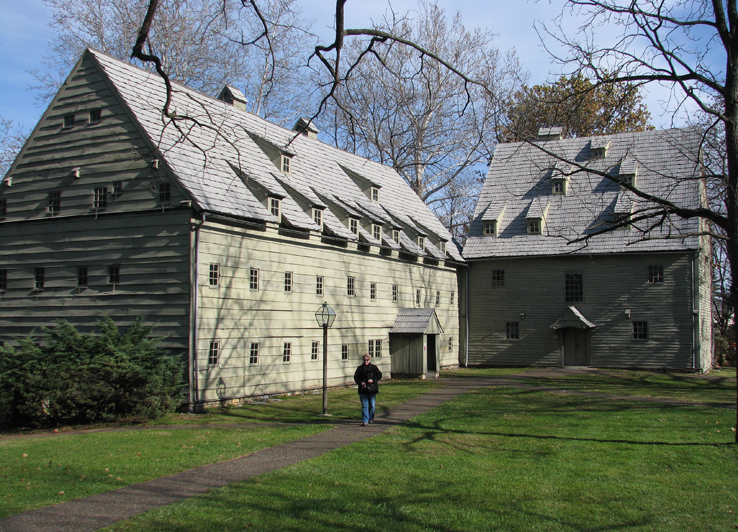 Today, the cloister sits on 28 acres and has nine buildings that visitors can tour. And if you're still thinking about becoming a brother or sister, you can even try out one of the "beds" during your visit. That might clinch your decision. 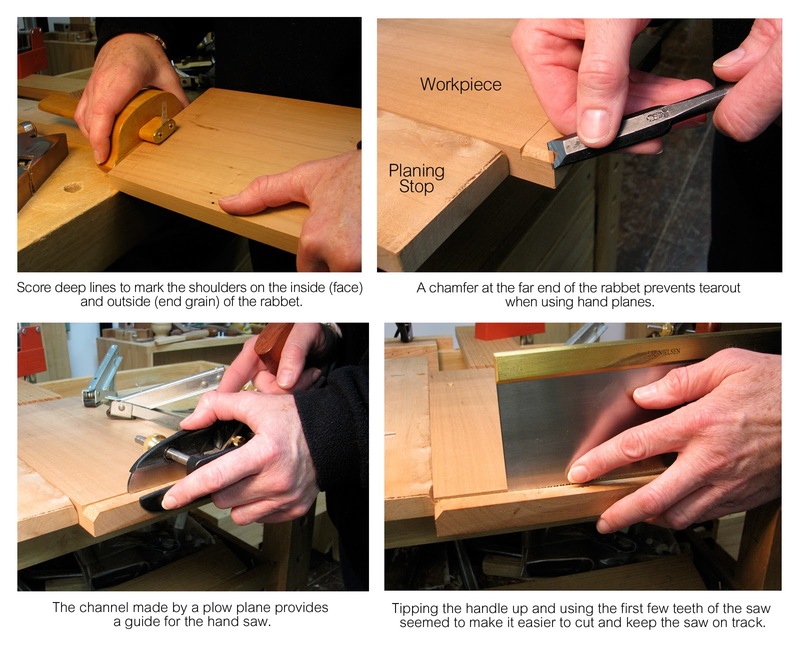 Like any task in woodworking, cutting rabbets by hand can be done a number of ways. It's all about stock removal. 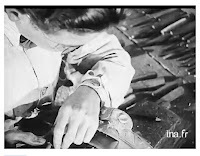 How you get there is a matter of choice and the tools you have in your shop. I'm building simple storage boxes for the house which will be nailed and glued at rabbeted corners. I tried a few different ways to cut them and settled on the following because it was relatively fast, accurate, and allowed me to play with a variety of hand tools. 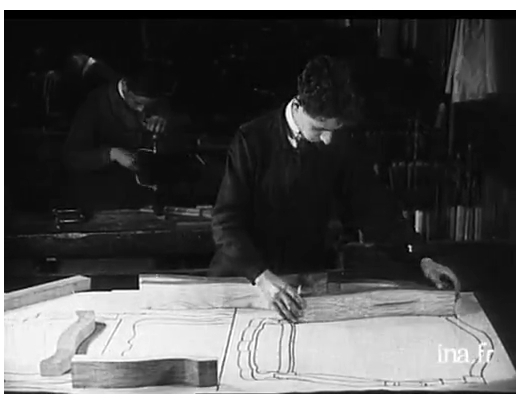 First, I scored deep lines with my slicing gauge, outlining the section of wood that needed to be removed. 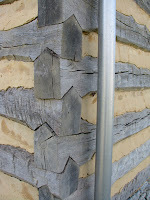 The deep line created a crisp starting point for the shoulders on the inside and outside of the rabbet. Next, I chamfered a relief at the far end of the rabbet to prevent tearout for the next step. I shaved a shallow trench along the scored lines with my plow plane. This channel provided a guide for my crosscut saw. 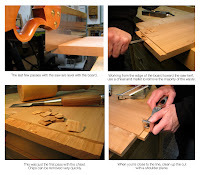 I sawed the near and far corners of the rabbet to final depth and then, tipping the handle up a bit, I used the front few teeth of the saw to cut the inside shoulder of the rabbet. I leveled the saw for the last few passes until I reached the final depth. 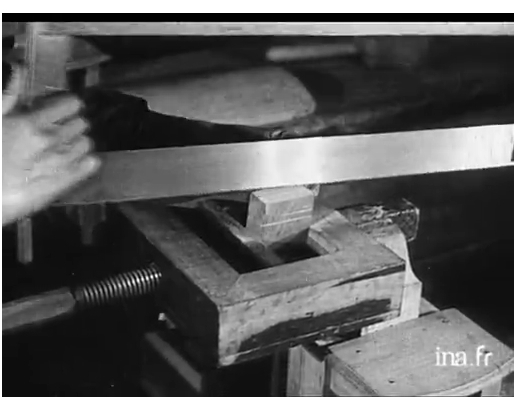 I found that, rather than taking full passes with the saw from the very beginning, angling the handle up made it easier to steer the saw and keep the teeth close to the shoulder. The saw kerf provided a nice stop cut for the next move. 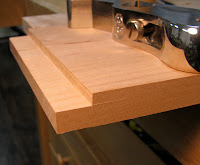 Working from the edge of the board toward the stop cut, I used a chisel and mallet to remove most of the waste. 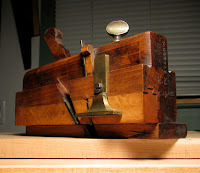 When I was very close to the scored line on the edge of the board, I cleaned up the rabbet with a shoulder plane. 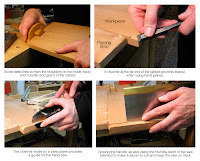 This method worked very well, but if you don't have a plow plane to cut the channel for your handsaw, you can clamp a board to your workpiece to use as a saw guide, or you can remove a sliver of wood by sliding a chisel along the scored line. 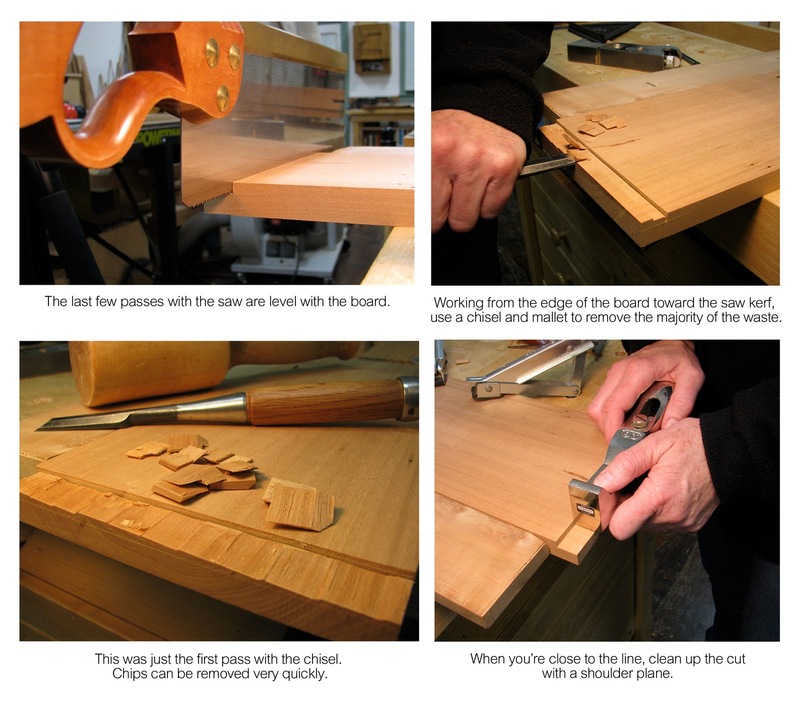 If you don't have a shoulder plane for the final passes, you can finish the entire cut with a chisel if you're careful. As another alternative, you just might happen to remember—after you've cut all the joinery—that you own a really nice moving fillester plane with skewed blade and nicker which would make quick work of the same task. Vinegar-treated on left; zinc on right. 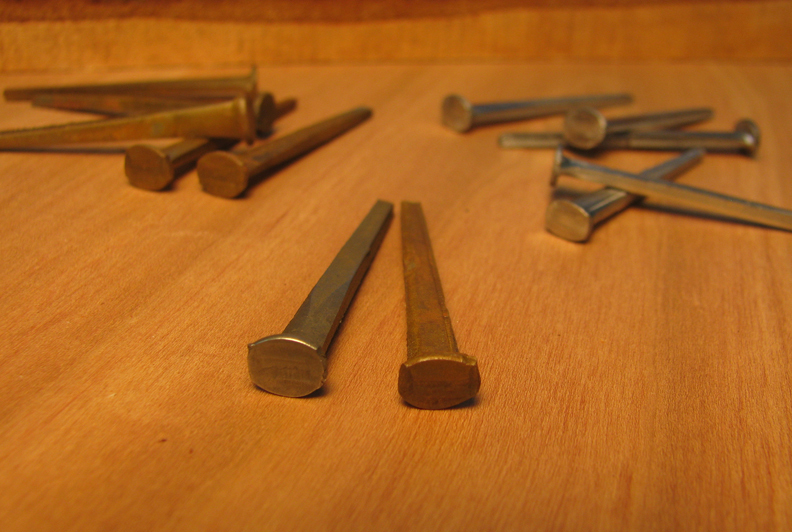 I ordered some box nails from the Tremont Nail Company for another storage project. 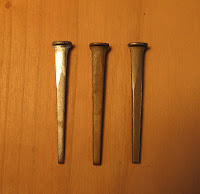 The nails were zinc-coated and shinier than I liked so I used a tip from Bob Rozaieski to antique them. the left was buffed with steel wool. Following his suggestion, I put a bunch of nails in a sealed jar filled with vinegar for about a day and a half. Through the glass I could see that the nails had darkened to a light charcoal color. The shiny zinc was gone. The extra half day did not darken the nails, so one day would have been long enough. I poured the vinegar out and laid the nails on a towel to dry. After about half an hour I checked them and found that they were coated in rust. 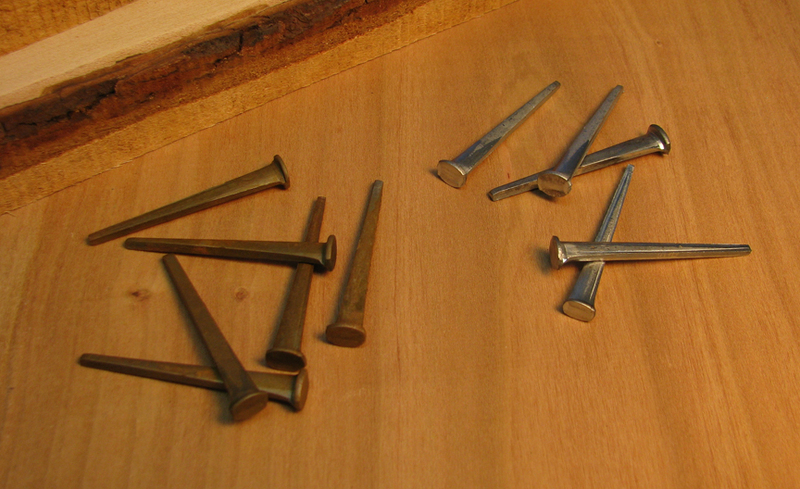 If you rinse your nails with water right after the vinegar you will not encounter as much rust, according to Bob. However, you may find that you like the rust color. And the surface rust won't hurt the nails, so you can leave them as is. 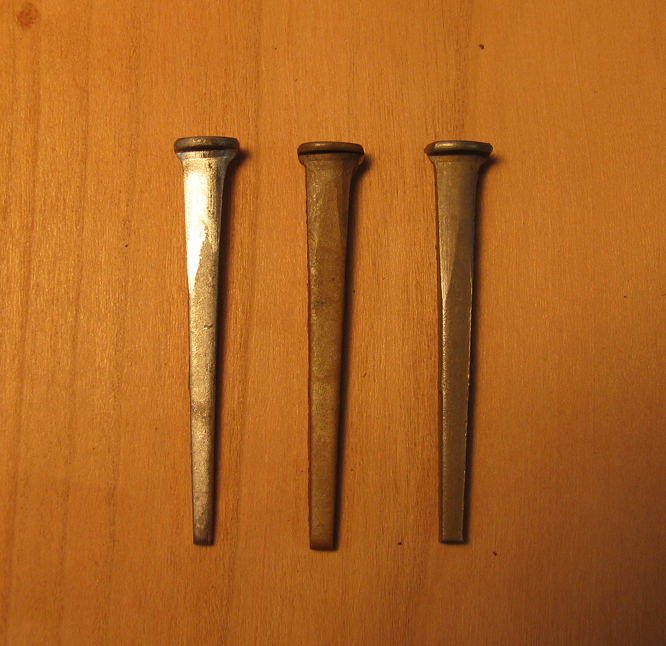 For comparison, I buffed one of the vinegar-treated nails with steel wool to remove the rust and reestablish the dull, light charcoal color. Bob says the nails will continue to darken with age. So you have a choice: bright & shiny, dull and gray (which will darken), or rust. Depending on your taste or the look you're trying to achieve, you may prefer one over the others. 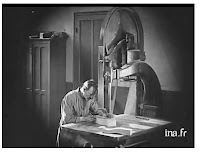 Bob made a short video about the aging process it here. 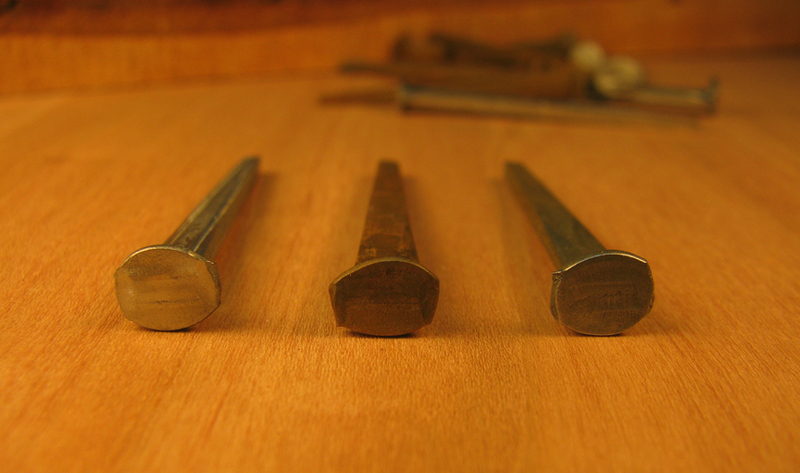 You can buy nails in smaller quantities from Tools For Working Wood. 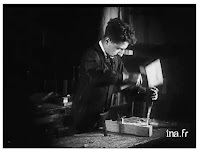 Here is a link to a French woodworking video from 1912 that shows students building period chairs. 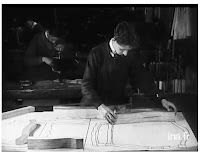 The actual woodworking starts at 2:50, but the things leading up to it are worth a look. 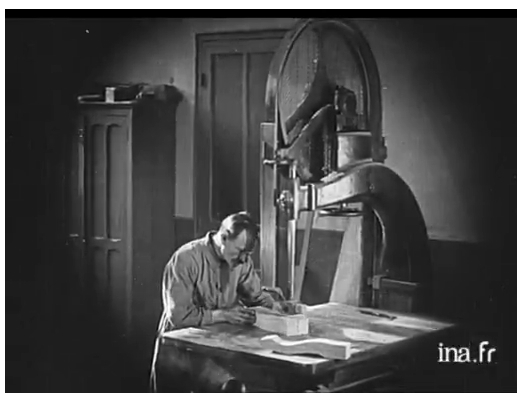 There is an interesting vise at 5:30, an unusual router/shaper at 6:50, and carving a 8:57.